Kemmanagundi is a hill station that has pleasant weather throughout the year. The best time for visiting Kemmanagundi is from September till May. These months offer various attractions for the travelers. Climate in Kemmanagundi remains pleasant throughout the year but the best time for planning a vacation is during the period that lies between the months of September to May. Newly wedded couples can plan their trip around this time to admire this exquisite hill station. The summer season experiences heavy rush of tourists, therefore people who want to enjoy the calmness and picturesque beauty of this place should plan their trip during off season, which is the winter season. During this time Kemmanagundi looks beautiful with the charm of lush surroundings of the region at its peak. In the monsoon season, this hill station experiences average rainfall. This is an ideal time for planning a holiday at Kemmanagundi as the city looks marvelous with its beautiful cascades and artistic gardens. Rain lovers can indulge in different outdoor sports and enjoy themselves. October to February- Average maximum temperature in the winter season is 29°C while the minimum remains around 12°C, thereby making the weather pleasant. These months are preferred by the tourists to plan their holiday to Kemmanagundi. March to May- The months of summer season offer soothing climate, during which different outdoor activities can be enjoyed by visitors. Tourists can also enjoy different festivals that are celebrated during these months. June to August- Average rainfall marks the start of monsoon season. 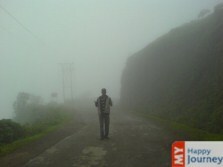 Rain lovers can plan their trip in this season to enjoy the scenic beauty of this hill station. Waterfalls being full, offer a magnificent view. Moderately Cold With the weather remaining between comfortable ranges, this month is regarded as a preferred month by the tourists for making a visit. Tourists can enjoy the beauty of this hill station and indulge in different kinds of adventure activities, such as trekking and mountain biking. Nature enthusiasts can plan their trip in this month to enjoy the lush foliage of Kemmanagundi. Pleasant With the weather remaining pleasant, February is considered a good time for enjoying different outdoor activities that this hill station has to offer. Different fairs and exhibitions are organized by local residents to attract the attention of the travelers. People can indulge in shopping of different things, such as handicrafts or artifacts, which are regarded as a specialty of Kemmanagundi. Pleasant Month of March marks the onset of summer season. A visit to the famous Z point, which is a steep uphill trek, can be made by the tourists to enjoy splendid view of sunrise. The view of valley downhill is very beautiful from the Z point. 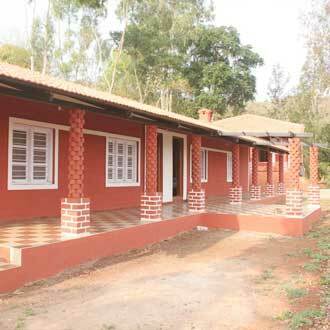 Visitors can relax themselves in the calm environment which is offered by Kemmanagundi. Pleasant Weather during the month of April remains pleasant which makes it an ideal time to visit the famous Rock Garden that sits atop the peaks of Kemmanagundi. This garden has pathways beautifully carved from rocks and is famous for its eye catching sunset view which marks a perfect end to the day. Tourists can enjoy the calmness of this hill station in this month. Pleasant Pre-monsoon showers are witnessed in this month, which enhance the beauty of this region. A trekking trip at Mullayanagiri, which is regarded as the tallest peak in the state of Karnataka, can be planned to experience scenic beauty of this place. Carrying rain protective gears is a good idea in this month to enjoy the trip without getting drenched in rain. Rainy Rains lash the region marking the onset of monsoon season. Religiously inclined tourists can visit the Shiva Temple, to seek the lordÃƒÂ¢Ã¢â€šÂ¬Ã¢â€žÂ¢s blessings. The main shrine of this temple is beautifully carved out of solid granite rocks with same pattern below and above. The rock art work at the entrance is spectacular and this temple houses images of Lord Vishnu and Lord Shiva. Rainy Travelers can plan their trip in this month to experience one of the most beautiful attractions of Kemmanagundi, which is the Hebbe Falls. Being full in the monsoons, this fall presents an eye catching view as it plunges from a height of 168 meters. Taking a bath in it is popular among tourists and local residents because it is said to possess medicinal properties. Rainy Rain lovers and nature enthusiasts can enjoy exploring a small town that lies in the vicinity of Kemmanagundi to experience their majestic beauty. After the rains, beauty of Kemmanagundi is increased manyfold, as rain washes away all the dust and dirt. Wildlife lovers can visit Jagara Valley to experience its beautiful surroundings and to view different species of animals. Pleasant Occasional rain showers keep the climate of Kemmanagundi pleasant. Sky usually remains covered with clouds with the sun shining behind the clouds. Hotels and restaurants offer different types of cuisines that can be relished by tourists. A marvelous view of the surrounding hill can be enjoyed from Raj Bhawan which is one of the guest houses in this hill station. Moderately Cold Beginning of the winter season is marked in the month of October. Pleasant days are followed by cool nights as a dip in the temperature is experienced which makes the climate cool. Dussehra festival is celebrated with huge enthusiasm around this time and tourists generally prefer to carry along warm clothes in this month to enjoy their trip without falling ill. Moderately Cold With the temperature experiencing a dip, less number of tourists prefers to visit Kemmanagundi. This is an ideal time for planning budget holiday, as various hotels and resorts offer special discounts on their packages. The city remains in festive mood, as the festival of lights, Diwali, is celebrated with great pomp and show by local residents and visitors can also join the celebrations. Moderately Cold Snowfall is sometimes experienced in the month of December; therefore many newly wedded couples plan their honeymoon in this month. With the mountain trails, beautiful fauna and flora and trekking routes, the hill station of Kemmanagundi has a lot to offer to its visitors. People can relax and feel rejuvenated after their trip to this amazing hill station.